1. Keep fresh flowers in the house. Especially my favorite, peonies. 2. Continue taking yoga, pilates, and core classes. It has done wonders for my body and mind lately. 3. Indulge in simple pleasures. 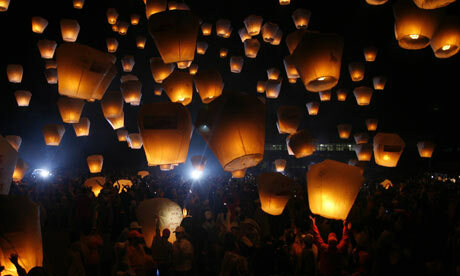 I’d love to get some of these sky lanterns for my birthday. 4. Read more books and watch less TV. 5. Always to put LOVE first. Don’t let fear or anxiety get in the way. 6. I will get pregnant this year. If I don’t, life will go on. I love the vision board rather than resolutions. It's more like life-lessons-I'd-like-to-learn than time-limited-goals.